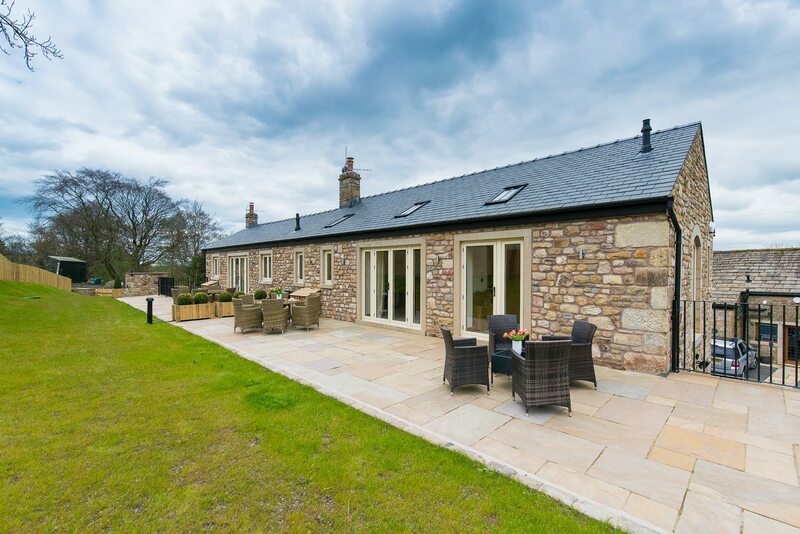 A comfortable, large cottage that sleeps eight people, with the capacity to sleep ten if necessary. 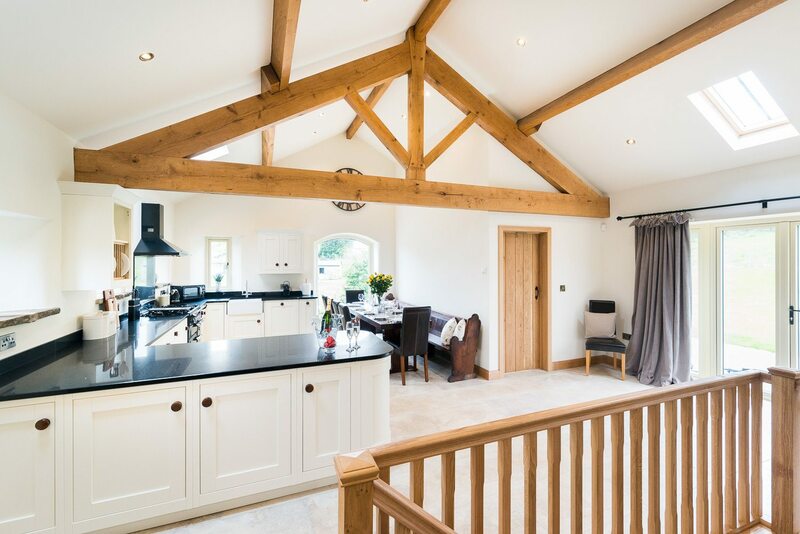 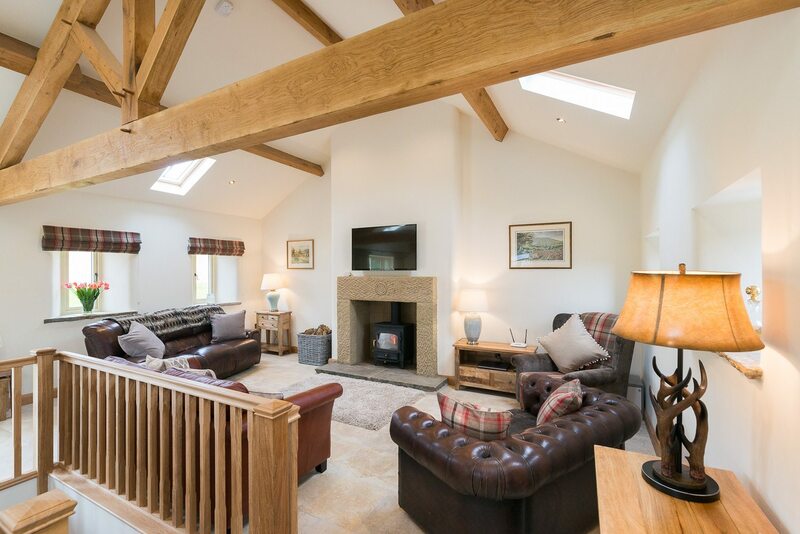 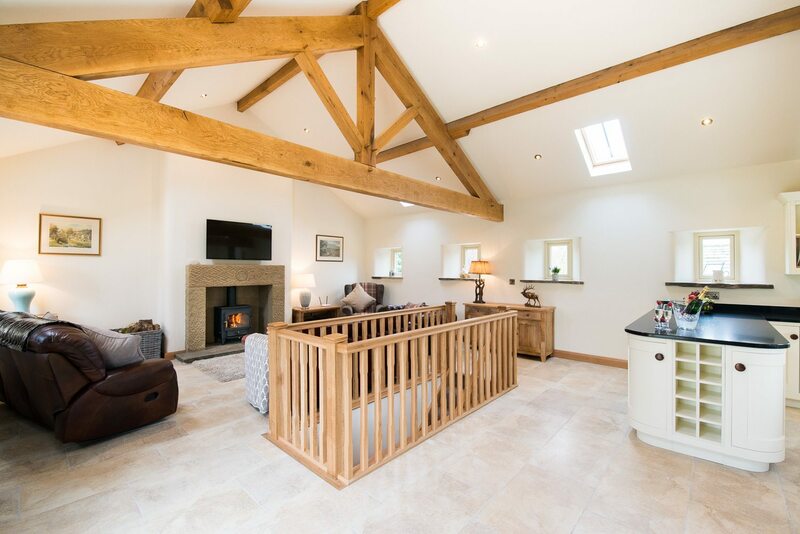 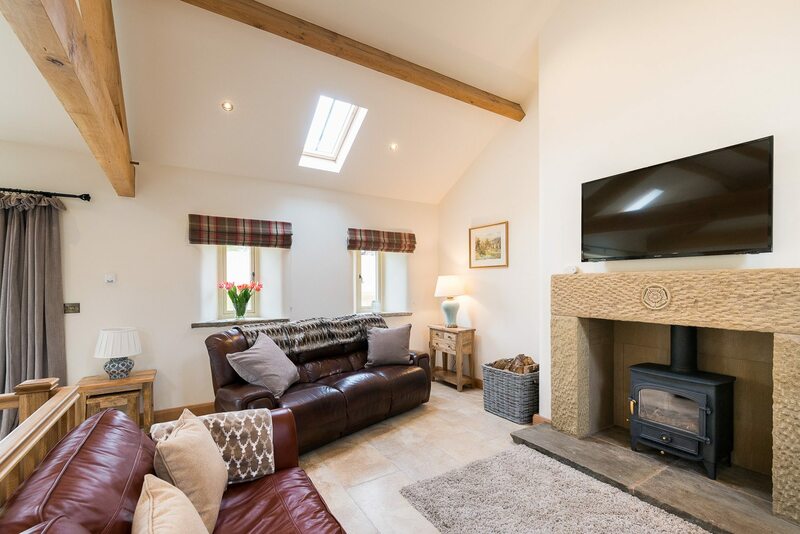 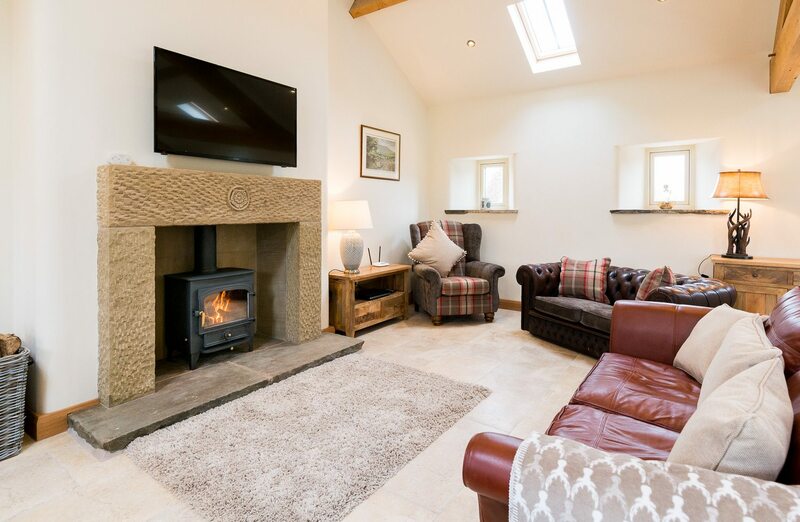 Comprises a large open plan lounge with two comfy leather sofas, a small leather Chesterfield, a large wingback chair, a wood burning stove, filled log basket, and a smart TV with WiFi capabilities. 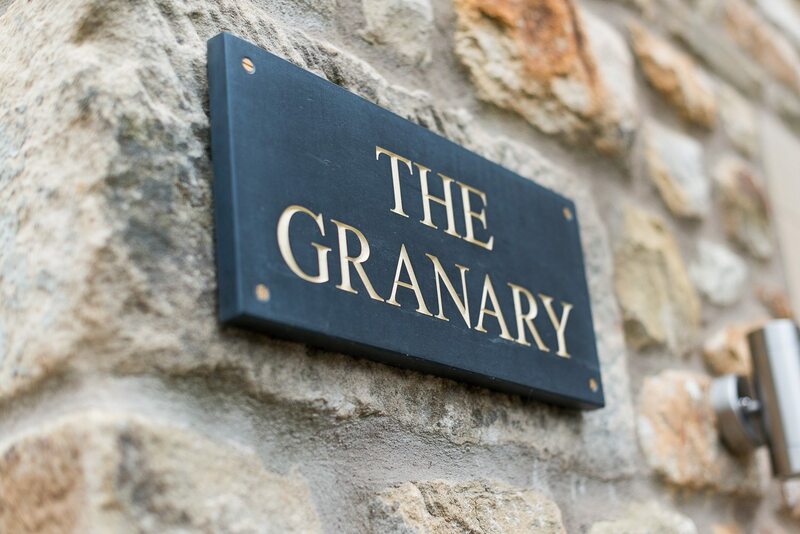 The Granary is equipped with a brand new cream shaker kitchen with dishwasher, fridge, freezer, microwave, Rangemaster classic 5 burner range cooker and 2 electric ovens, granite worktops, a large oak table with church pew and 6 leather dining chairs, full dinner service, champagne bucket, pans, dishes and roasting tins, an iPod or iPhone docking station and Nespresso coffee machine. 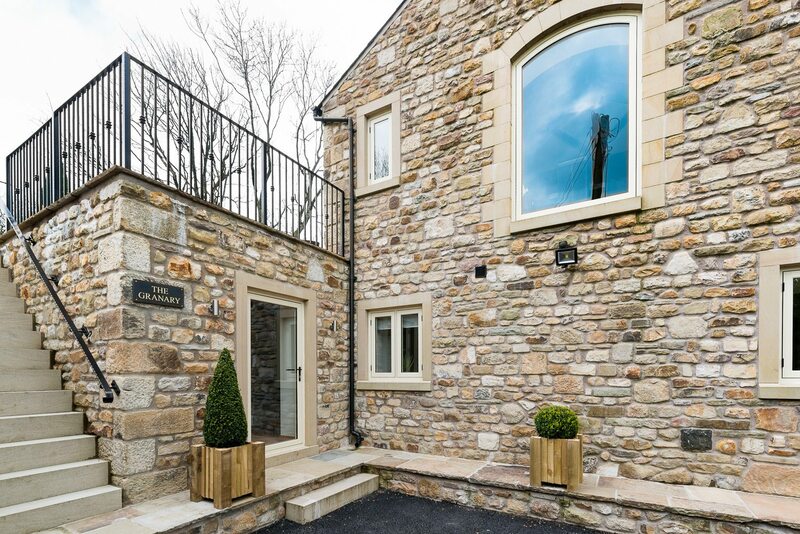 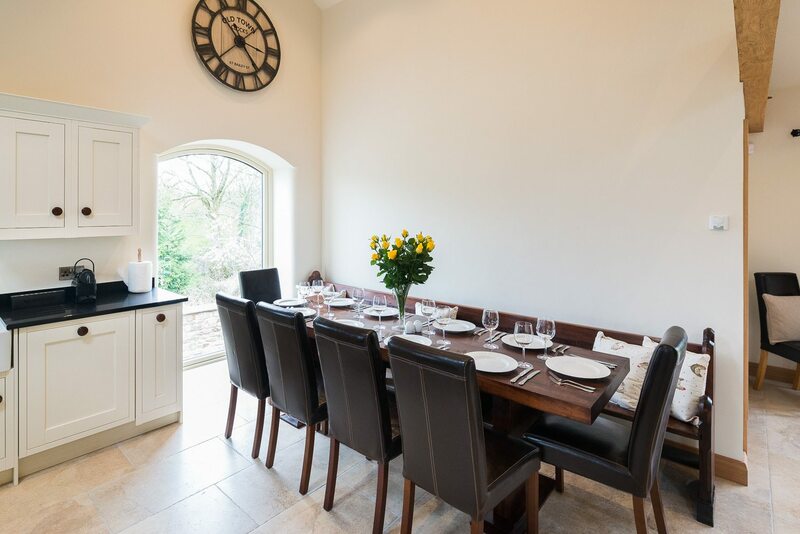 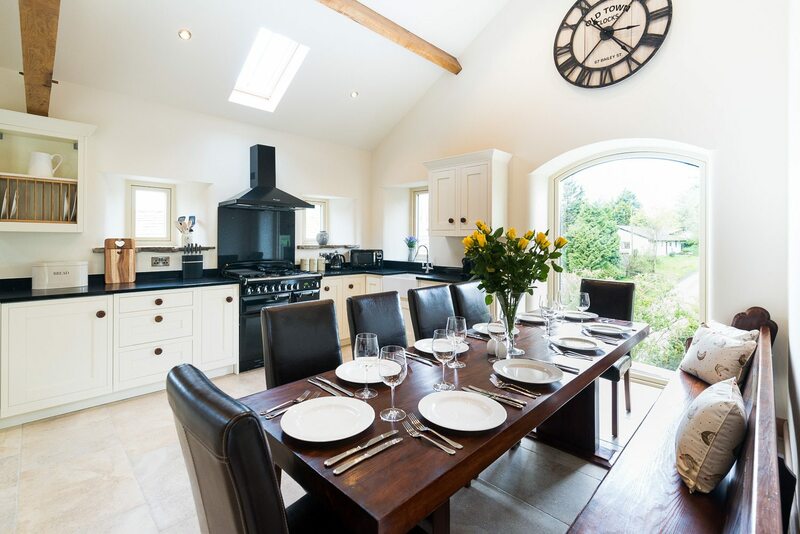 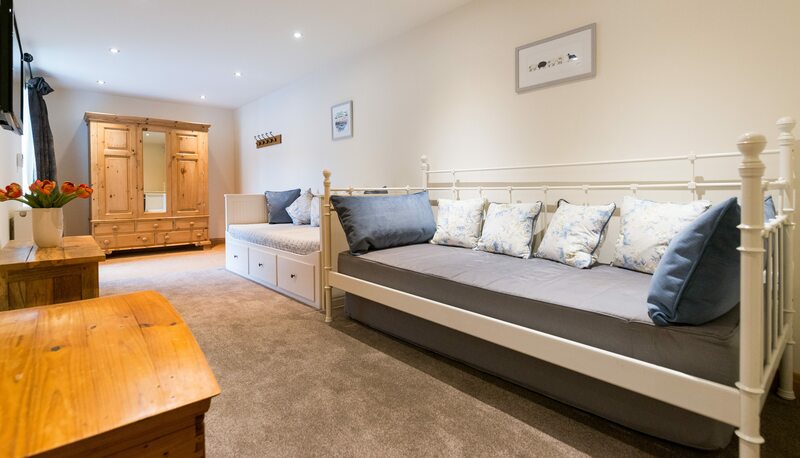 The Granary comfortably sleeps 8 people and can, if necessary, sleep an additional 2 children. 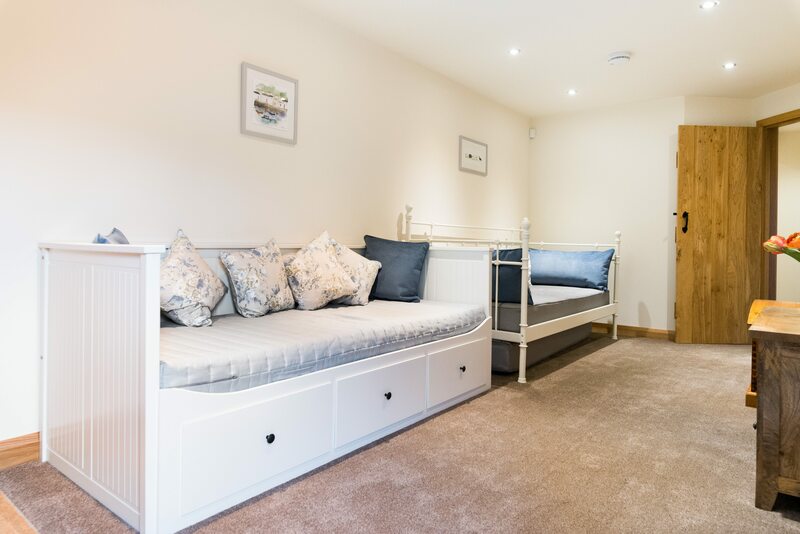 Two large en-suite bedrooms one with a Super King sized bed and one with a king size, as well as a twin bedroom form the sleeping quarters. 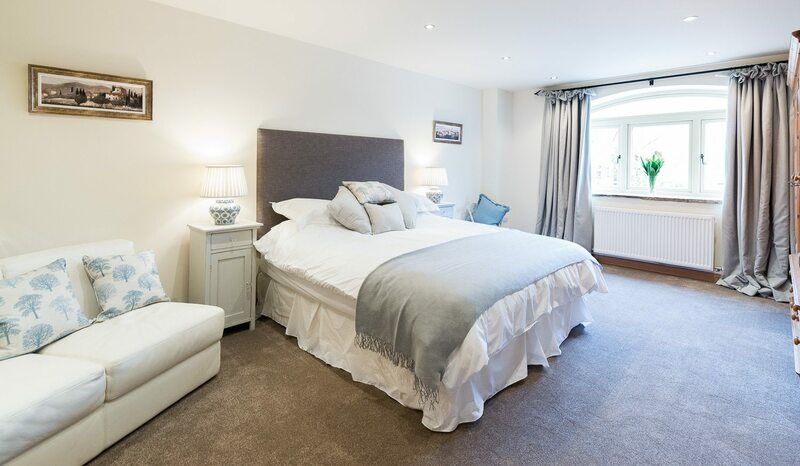 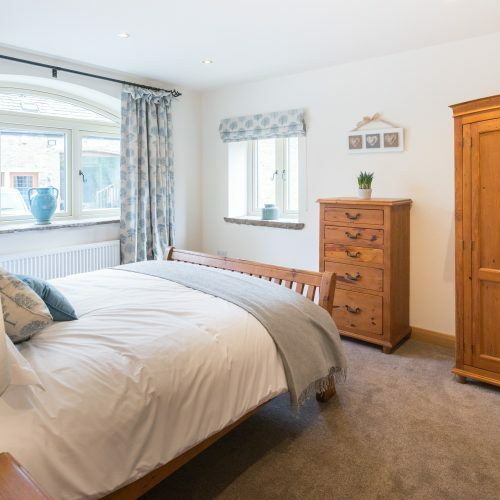 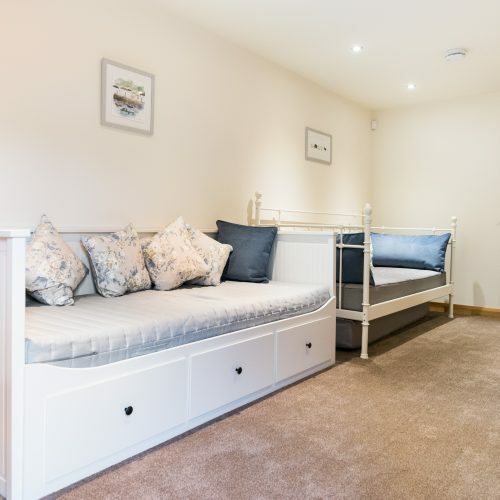 The occasional bedroom can sleep 2 adults or 4 children – alongside a TV and games console, this room contains two daybeds and a triple wardrobe. 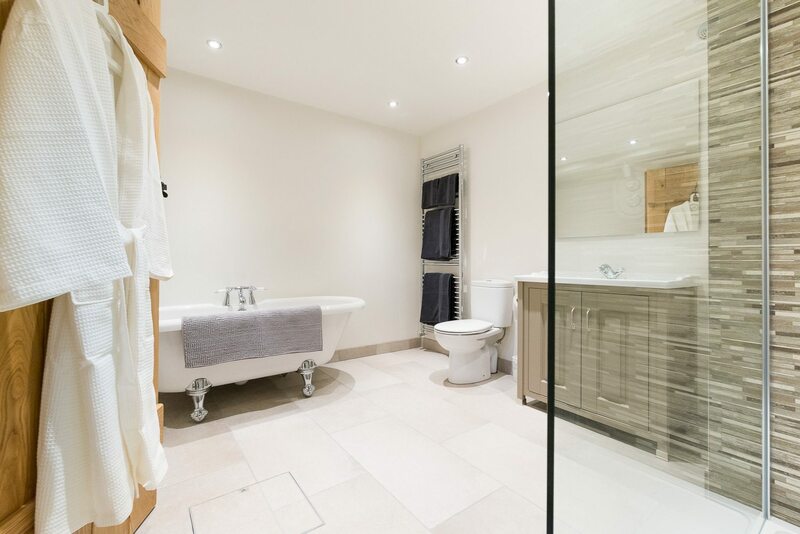 There is a sizeable house bathroom off the hallway with a walk-in wet room style shower, sink and toilet. 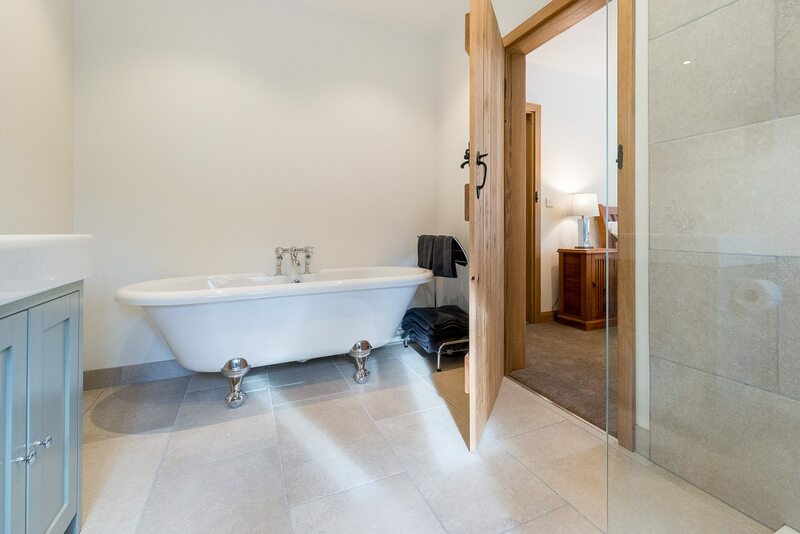 The two large en-suite bathrooms both contain free-standing baths and walk-in showers. 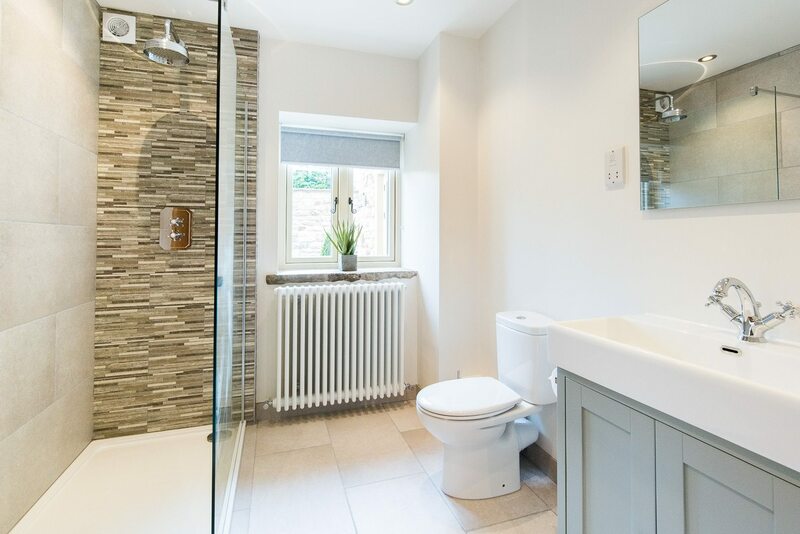 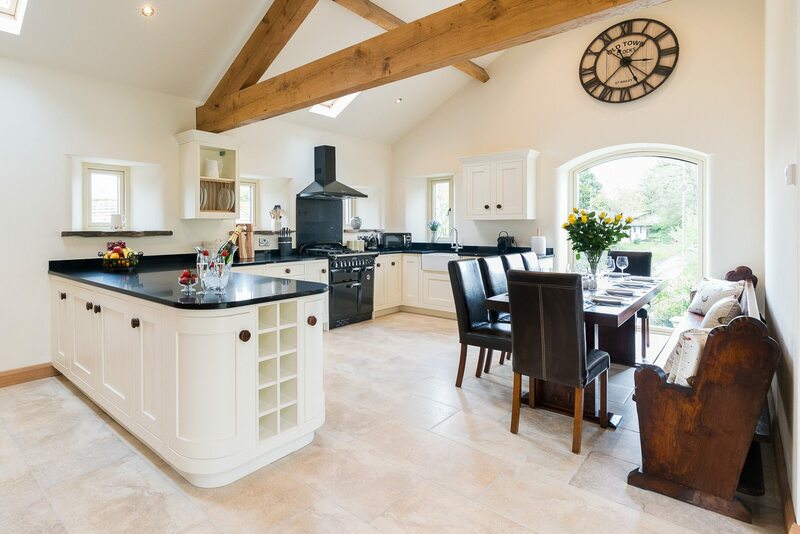 All are beautifully appointed with modern slate tiles, white-ware and chrome fittings. 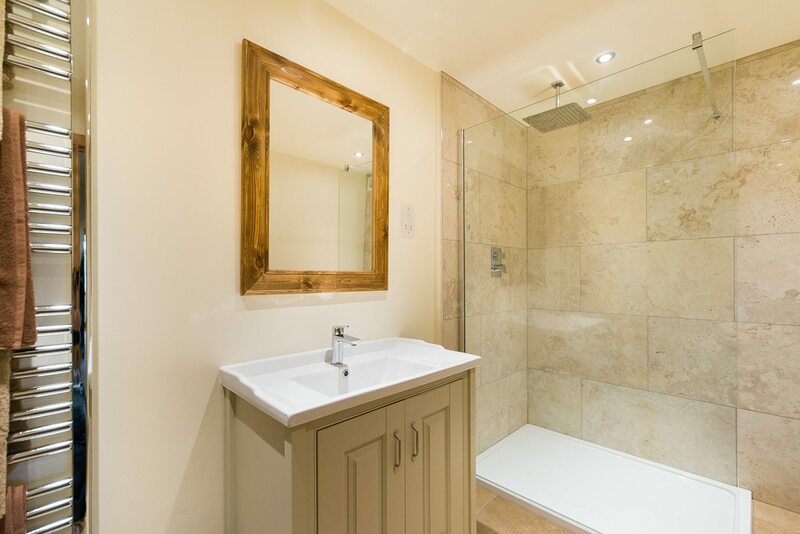 The utility room contains a washer/dryer, hand basin and toilet. 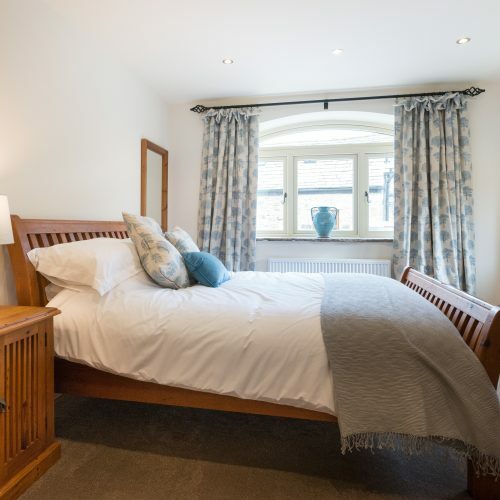 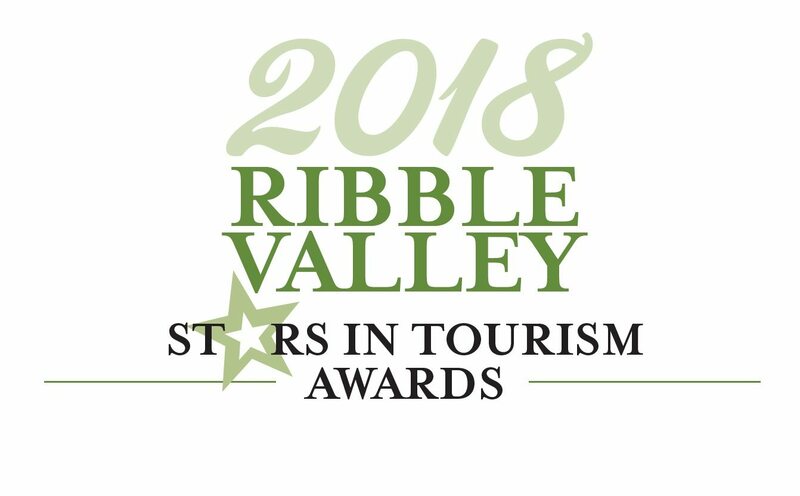 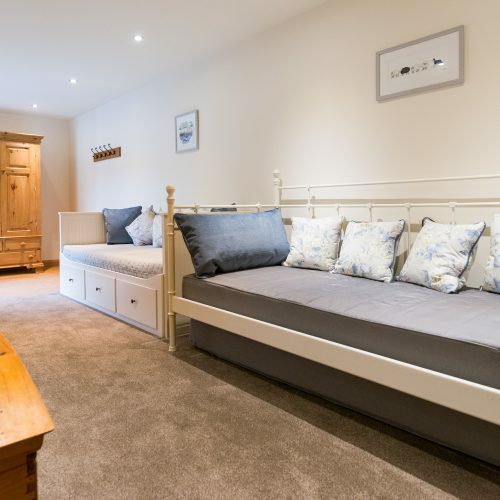 As well as the rooms described above, amenities may be found in the large cupboard off the hallway, which contains an iron, ironing board, clothes maiden, childs highchair, stair-gate and travel cot (a full size cot can be provided), as well as spare mattresses for the day beds. 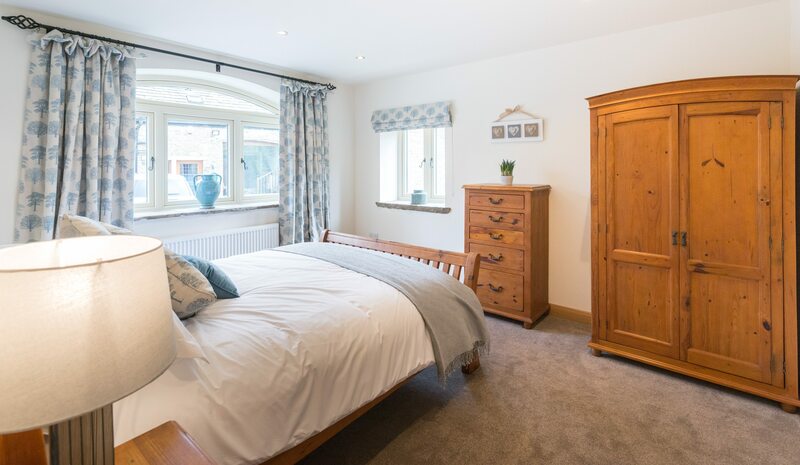 In the occasional bedroom you will find a TV, a DVD player along with a selection of children’s DVDs and a chest containing family board games. 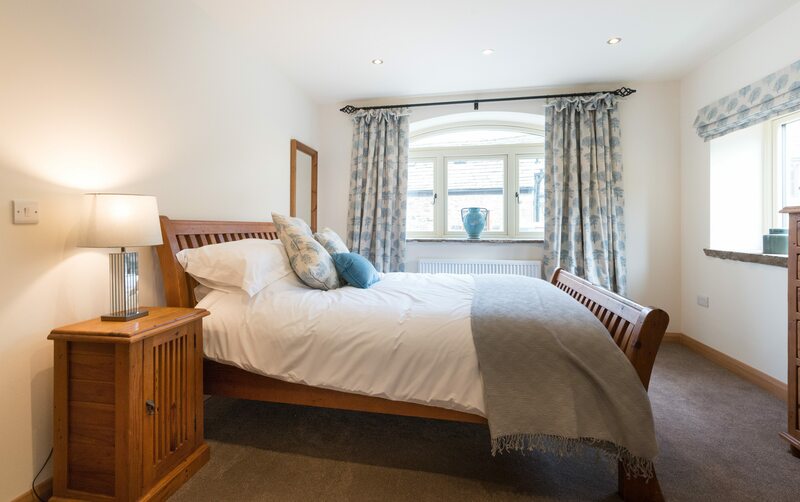 Outside you will find ample parking, a full suite of outdoor furniture, lawned areas and a private garden, in addition to a stone paved patio. 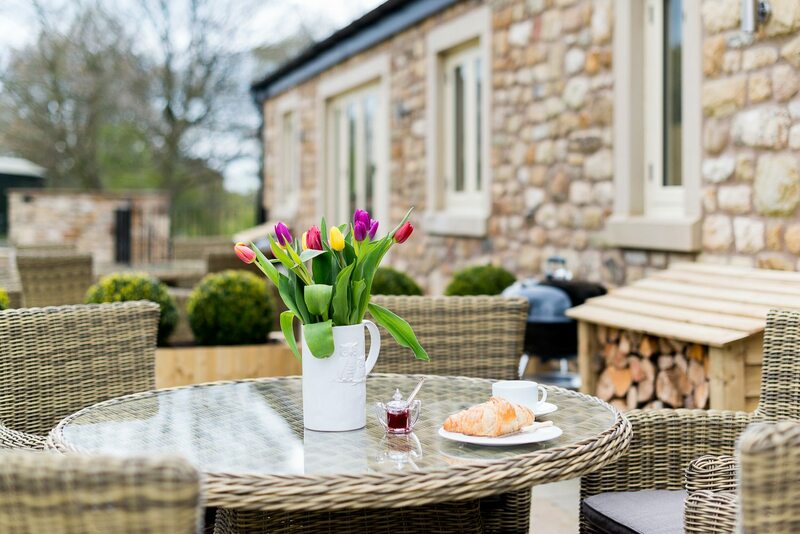 A BBQ is available, with everything you need to light it.